No matter if you are a recent high school graduate looking to take the next step in your education, if you have had some college but have not been able to complete your degree, or if you are already a professional looking to advance in a competitive workforce, education is the key to jumpstarting your career. You CAN get your degree! Where there’s a will, there’s a way. Once you’ve made that important step of deciding that you WILL get your degree, then comes time to choose the right program, degree, and field of study. In addition, it is equally important to decide whether a traditional or an online education is optimal for you. You might want to consider an online education – because for many people, distance learning is the flexible route towards a rewarding, lucrative and promising career. There are many different issues to consider when deciding where to pursue your higher education. Even before comparing the details of tuition, fees, and any other associated costs, it is important to assess the pros and cons of traditional and online degree programs to determine which truly is the right fit for you. Distance learning programs have recently been proliferating across a number of fields. In addition, such online-based programs are gaining complexity, availability and recognition. There are numerous online college programs that now offer a wide range of academic and professional training. Studying at a distance with an online educational program can be a great way to get your degree, while still leading your life, working a job, or raising a family. If you are a busy professional with a full schedule, then it can be difficult to carve out the time for studying. Yet, you are certain that you want to advance in your career without having to quit your job. Because a degree program requires time, commitment, and effort, distance learning might be the best option. Online classes allow you to combine the responsibilities of earning a living with the opportunity for career advancement. In addition, since you have work responsibilities, your ideal educational program would offer considerable flexibility, without the strict schedules associated with traditional, campus-based classes. 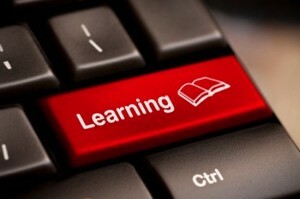 With an online education, you can study any time you have a computer and internet access. Of course, studying requires your effort and commitment – but with an online degree, you have the choice of when, how, and where you study. What credentials does the school offer? What programs are available, and is there flexibility to change courses if I decide to? Are the faculty-members recognized professionals, experienced teachers, or academically advanced in their fields? Does this program grant me a recognized qualification in the job market? Does the school offer post-graduation resources such as career counseling, job placement, or other alumni services? Are there scholarships, grants, or loans available for students with limited financial means? All these questions should be asked and addressed in order to make an informed decision between colleges and degree programs. When you have this knowledge, you will be able to decide what is best for you in the short, medium, and long-term. You will also be in a better position to gauge what the cost of the education will really provide you in terms of value for money. While college tuition itself often represents a significant chunk of educational costs, it is not all there is when looking at the financial information. There are also administrative fees, admissions fees, and other associated costs that must be factored into the equation. Some schools have resource fees, as well as the cost of materials and textbooks, which are not included in the tuition. Select schools may cost slightly more, but textbooks and other materials are included in the price of tuition. There are also numerous forms of financial aid, including Pell grants, loans, veterans’ benefits and scholarships. It is also important to keep in mind that online courses may save you time and money, since you do not need to commute to a physical campus to attend class. Don’t underestimate the importance of these time savings when comparing costs! For example, if you are planning to work part-time while you attend college, remember that this may enable you to have several more hours in the week that you can be working and earning money. Or, if you are a holding a full-time job and plan to take online courses on the side, not having a lengthy commute may make a big difference in your success as it allows you extra time to study and attend to other responsibilities. Consider these factors in your cost comparisons, as well. If you know what field you are interested in working in, then it is useful to speak with a career counselor to help you figure out which program of study can give you the appropriate qualifications. Keep in mind that not all professions require the same level of educational attainment or official certifications or degrees. 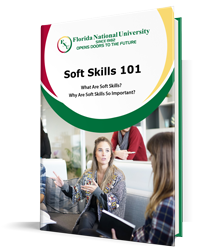 Some fields require only a training certificate in order to hire entry-level workers, while others will ask for an Associates degree, a Bachelors, or even a Masters degree. Make sure you know what the industry requires you to have in terms of education and training, so you can confidently and efficiently obtain that professional qualification. This will save you time and money in the long run. Of course, if you know you are interested in getting a degree, but are not yet sure which field is right for you, contact us! Since being founded in 1982, Florida National University’s goal has been to open doors to the future. –One of our admissions advisors can help you map your way to a successful future!